Summer Soles are simple. A solution to the daily application of over-the-counter powders and gels. Daily routines are a hassle, and most of us barely get out in the morning with our shirts tucked in. Summer Soles are fast and easy. Just peel, stick and forget about it. If you’re using prescribed medications, you should give Summer Soles a try. The combination may be just the right combination. Millions of people suffer from sweaty feet or excessive foot perspiration. While sweating is a natural function of the body, it can cause severe distress for those of us with excessively sweating feet. Problems can range from simple uncomfortable squish to downright dangerous slipping or falling in shoes from sweaty feet. 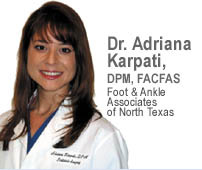 If you think you have a foot perspirationproblem, visit your local podiatrist or dermatologist. Although there is no cure for sweaty feet, a doctor can explain all the treatment options available to you, including Summer Soles – certainly one of the quickest fixes available for sweaty feet issues. How many people have both sweaty hands and feet? It is estimated that nearly 8 million people in the U.S. suffer from Hyperhidrosis (2.8% of the population). Prevalence projections from a 2004 study indicate that Plantar Hyperhidrosis, or excessive foot sweating, is less common than other forms. The study reports that 50.8% of U.S. Hyperhidrosis sufferers have Axillary Hyperhidrosis, underarm sweating, in combination with other forms of Hyperhidrosis. 25% have Palmar Hyperhidrosis, excessive sweating of the hands, alone or in combination with other forms of Hyperhidrosis. It is assumed that Plantar Hyperhidrosis sufferers, those with excessive sweating of the feet, as well as those with both sweaty hands and feet, make up a fraction of the total Hyperhidrosis sufferers. Until now, summer footwear just hasn’t accommodated sweating feet. Summer Soles open shoe insoles fit edge-to-edge, remove with no residue, and can be changed as often or as frequently as you’d like – so no matter how much foot perspiration you experience – it’s like having a new pair of shoes everytime you slip them on. Summer Soles make every sandal or open shoe feel fresh and fabulous – true comfort for sweaty feet.